Former Reel Action and Pharm-A-Sea Captains Dean Gordon, Dan Ewaskowitz, and Dan Rankin have been fishing the legendary Bank Reef for King Salmon since they were old enough to walk. Their reputation for catching trophy fish has been bringing people back year after year. 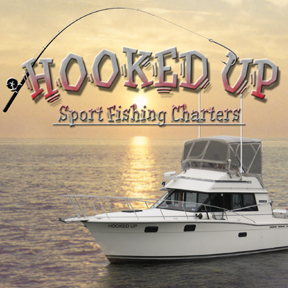 Come fish with one of the largest, cleanest, most well equipped boats on Lake Michigan and see why so many people choose Hooked Up for all their sport fishing adventures! Fish Guaranteed!! !